In the year ending March 2018, a total of 302 women and 205 children lived in our refuges. A total of 1,376 women and 1,748 children were supported by our outreach services. 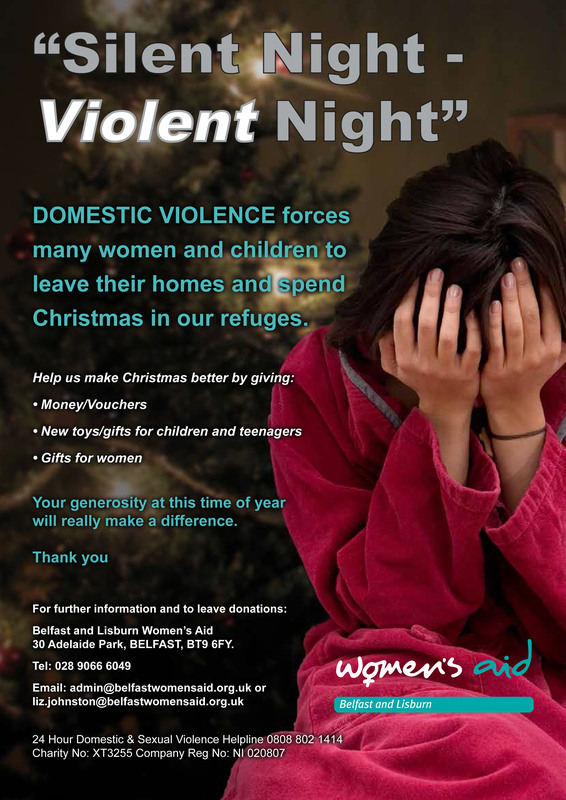 DOMESTIC VIOLENCE FORCED 57 women and 43 children to leave their homes to live in our refuges Christmas 2017 and more than triple that number were supported in their own homes by our Floating Support Team. Thanks to your generosity no woman or child involved with our service spent Christmas without food, heating, toys and gifts. Thank you for all you have done for us in the past. PLEASE support us again this year.